PRAYER PROMPT ••• I haven’t been sleeping well and last night was no exception. With a lot on my mind, I find myself way too acquainted with that aggravating guest Exhaustion, who is often accompanied by his good buddy, Insomnia. I really want these two out of my house, but if I’m being honest, the problem is me. I’m the one who invited them. As a lifelong control freak who wants to take care of everything, I sometimes forget that this whole “life thing” isn’t really up to me. When I couldn’t sleep last night, the right thing would have been to pray about it. God has promised to give rest to the weary (Matthew 11:28). Instead, I fretted, tossed and turned, and finally spent the better part of the night in the living room recliner so I wouldn’t disturb my husband. Any of you know this feeling?? So here I am at whatever-time-it-is, and I need to start the day, but I am so tired. Thankfully, we serve a God who continues to offer grace and mercy, even when we forget to cast our burdens on Him (1 Peter 5:7). So today, Coffee will be my friend, but most of all, Jesus is with me. I will retrain my focus on the one who is there for me through everything. Who knows every detail and who is willing to carry me. I’m sorry, Lord Jesus, for failing to go to you. And dear readers, if you, like me, have something weighing on you, turn to Him. The one who created you and makes the sun rise, and the sun set, and the stars shine – He can handle anything we bring to the table. Today as we pray, let us praise God who is always there and always willing to listen. 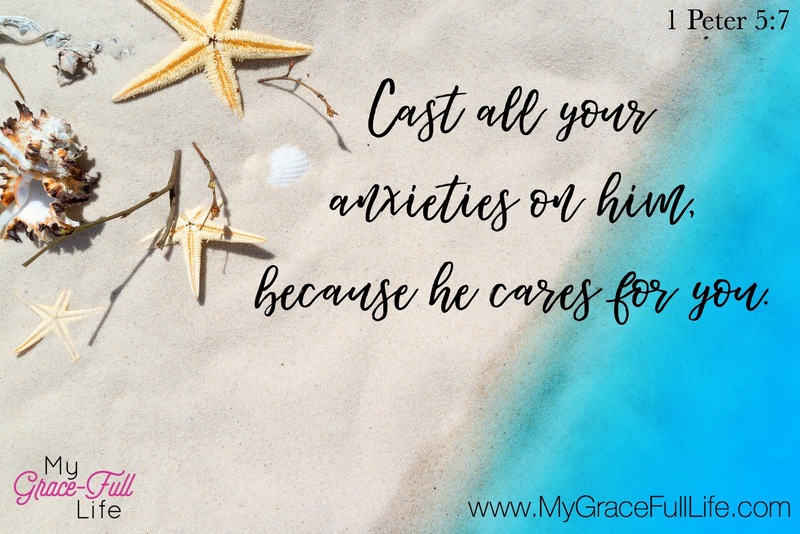 Ask Him for help with whatever load you are carrying and then, leave it for Him (don’t try to micromanage how He addresses your situation). Thank Him for His forgiveness when you lose focus and ask Him to help you train your eyes on Him alone.